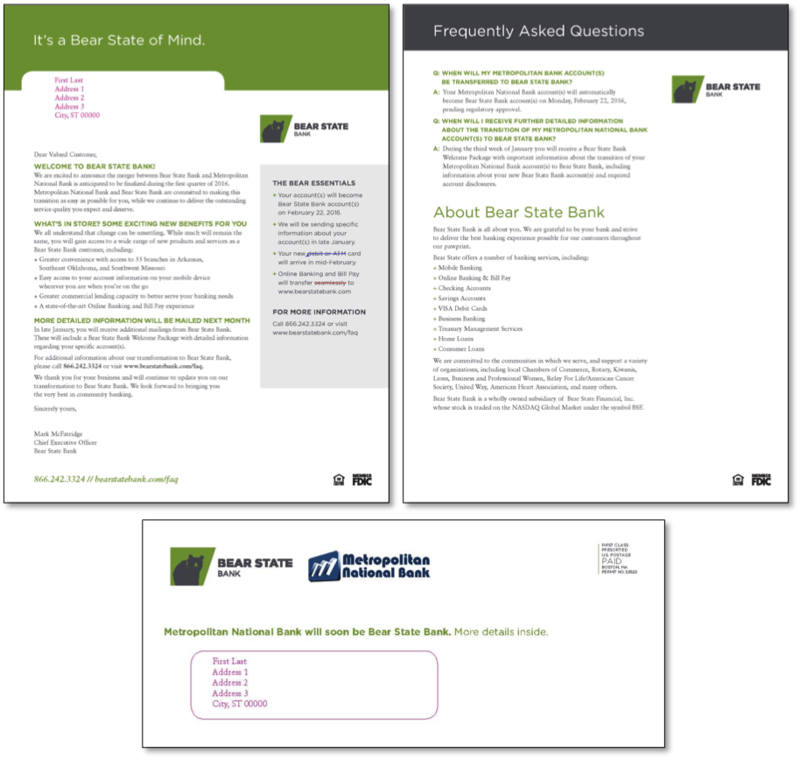 Bear State Bank reached a definitive agreement to acquire Metropolitan Bank. 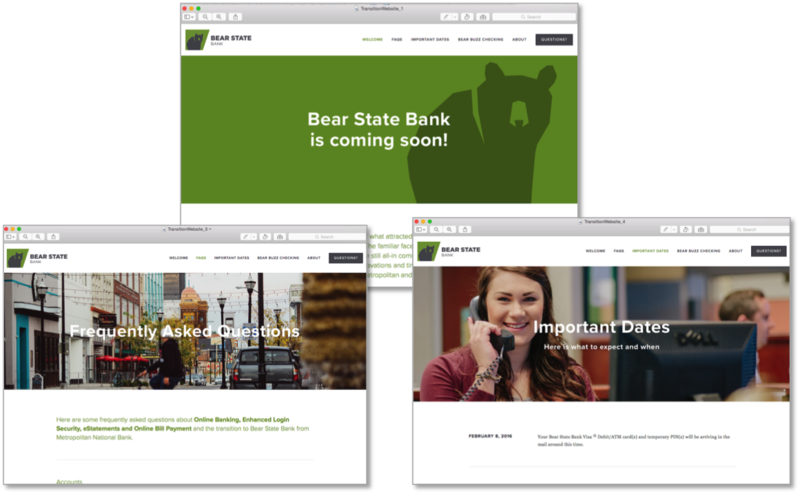 As a result, Bear State reached out to BKM to develop a comprehensive merger communications program in order to retain Metropolitan Bank customers and ease possible customer anxiety about the transition. 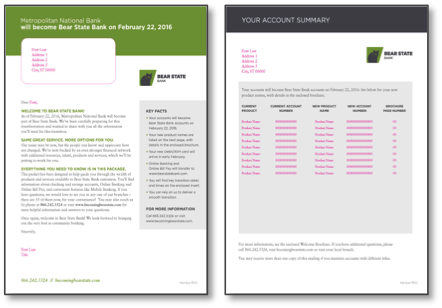 In addition, BKM created digital assets that were incorporated into an Online Hub for customers to access up-to-date conversion details. 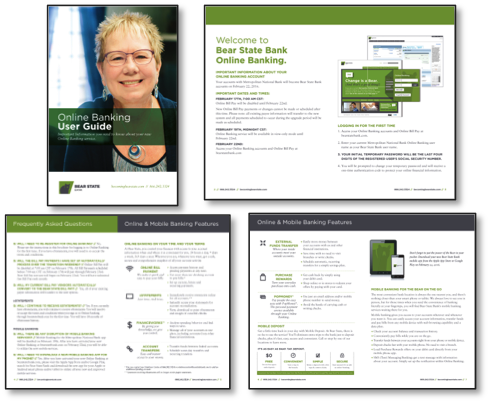 The BKM team is phenomenal. 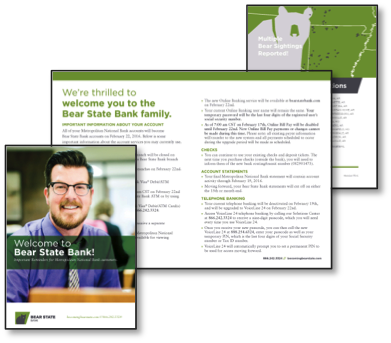 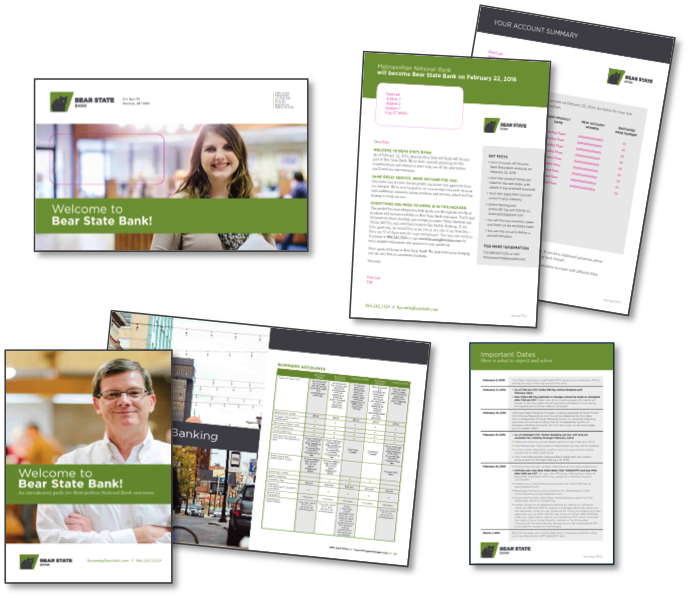 When you are a community bank, you wear a lot of hats and working with a team that understands that and is comfortable helping you manage such large, complex projects on a tight timeline is invaluable.